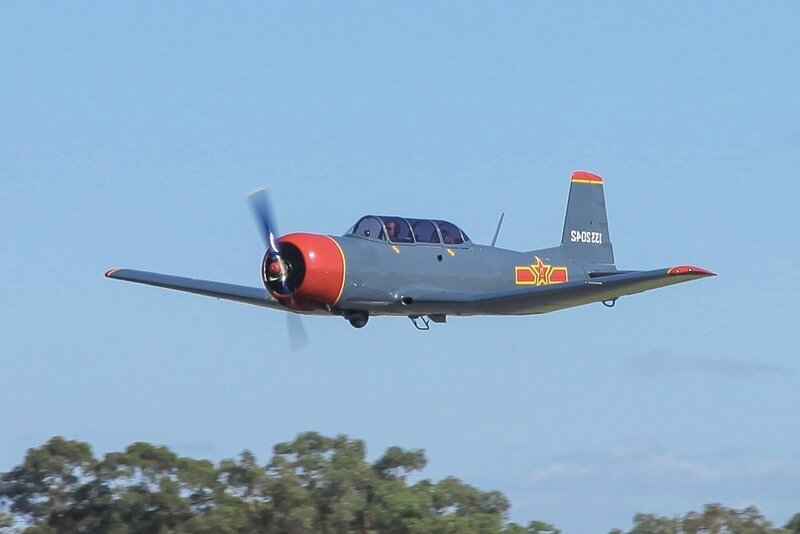 The CJ-6A "Nanchang" is a Chinese designed and built military trainer which first flew for the People's Liberation Army Air Force in 1958. More than 3000 were built and flown, and it quickly developed a reputation for being a sturdy and reliable airplane. Warrior Warbirds' Nanchang was built in 1966 and spent most of it's life in China. In 1996 it was transported to Australia and painstakingly disassembled, reassembled, and restored into its present form. The Nanchang is rugged, fully aerobatic, with external wing hard points for bombs or external fuel tanks. Your Pilot sits in the forward cockpit, while you sit directly behind in the aft cockpit. A 360 degree view of the world awaits you through the "bubble" canopy, delivering a view that is unlike any other plane you have been in.